Double input channel designed for ensuring the stable AC source. 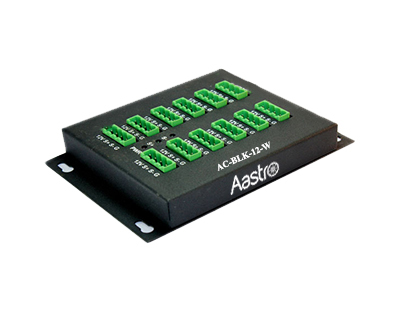 Total 12 output channels, and each channel has three kinds of output voltage (5/12/24VDC) can be selected. 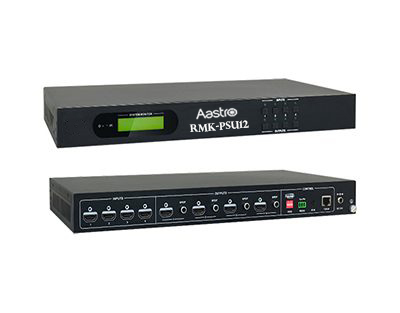 Output channels can be switch on/off by via the front panel buttons, RS232 commands or Web-based GUI. Output voltage (5/12/24VDC) can be selected via the TACT Switch on rear panel, RS232 commands, or web-based GUI. Output Voltage 5V, 12V or 24V can be selectable. Buttons Control Front Panel: 01~12, total 12 buttons. Rear Panel: Total 12 TACT Switches, named SELECT. RS232 Control RS232 port (3-Pin phoenix connector). Baud rate support 1200, 2400, 4800, 9600 (default), 19200, 38400, 57600,115200.